We've shown you our Christmas mantel this year but we have added festive touches all over our living space this year. 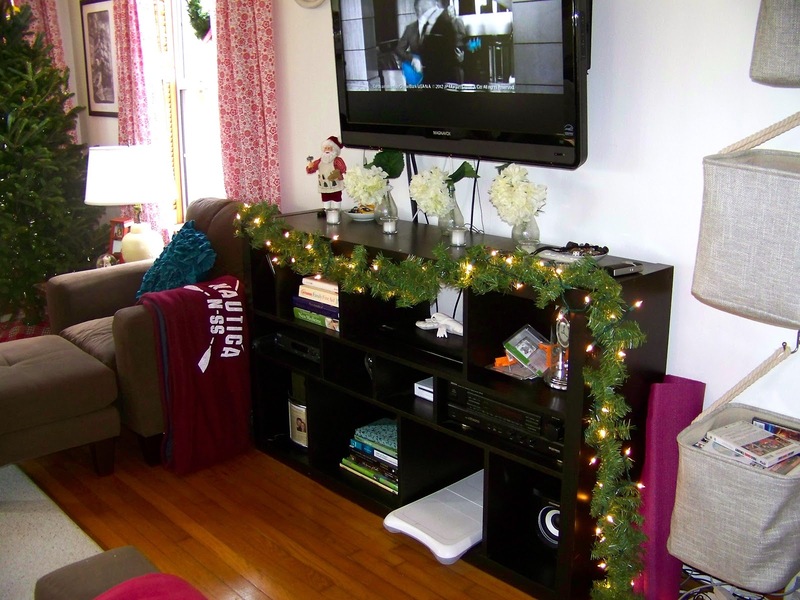 Our entertainment center under the TV got decked out with garland and white lights as well as a little Santa that sits on top. I kept our white candles and flowers since they looked so good with the garland. Our windows have these cute wreaths hanging in them. 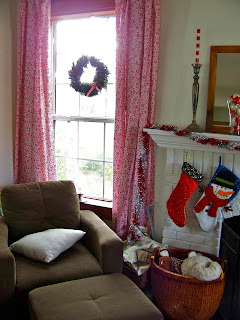 I had a bugger of a time finding plain wreaths. 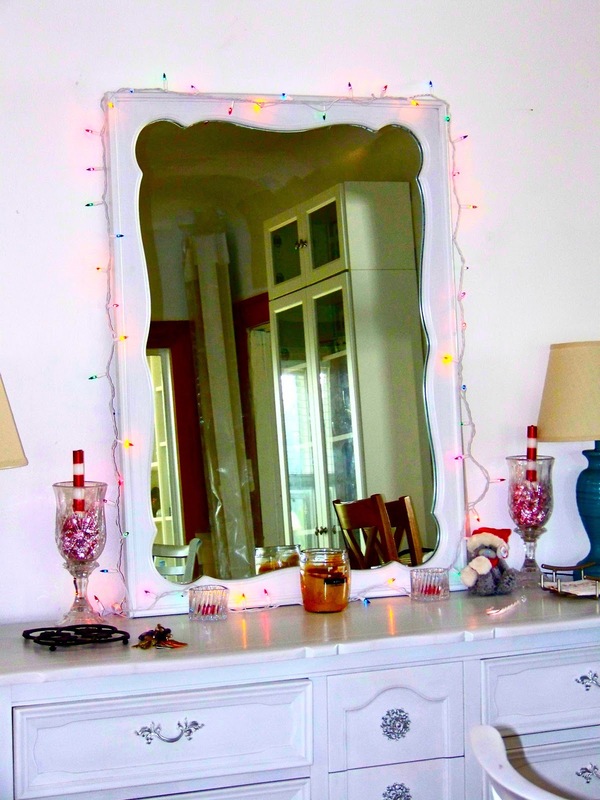 Most of what I found were pre-lit or pre-decorated and really expansive. I finally found plain ones at Michael's for $3.99 a wreath. I used left over ribbon I had and some fabric glue to attach the ribbon to the wreath and then stapled it to the top of the window frame. 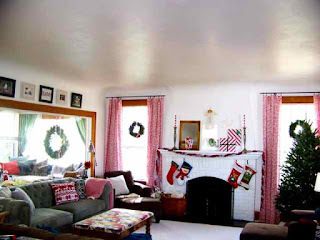 I then attached a small red bow from some more left over ribbon to the bottom of each wreath to give it a little pop. Since I was able to find the inexpensive wreaths, I also grabbed a large wreath for $13.99 for out in the sunroom. Our buffet got a little sparkle with colored lights wrapped around the mirror and a couple of candy cane candles surrounded by candy cane kisses. 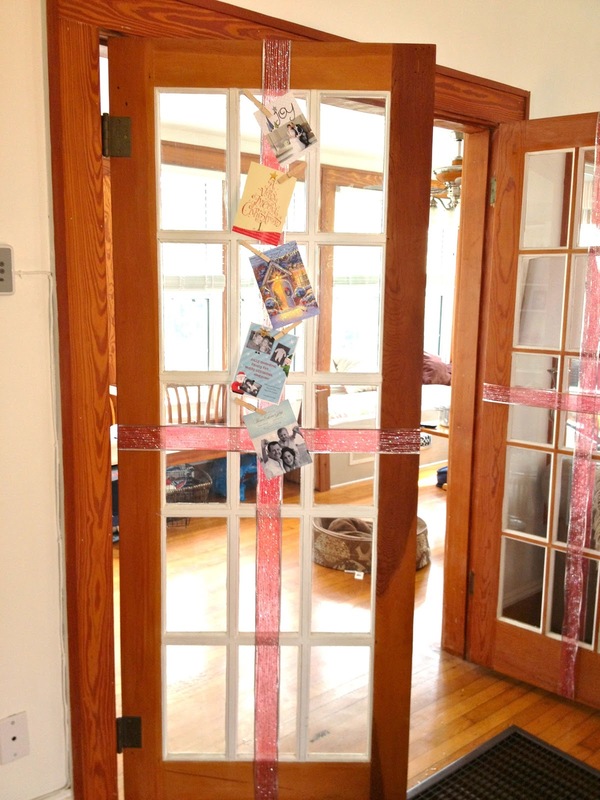 Last but not least, I wrapped our french doors with ribbon to look like presents and then used clothes pins to attach the lovely Christmas cards that people send us. 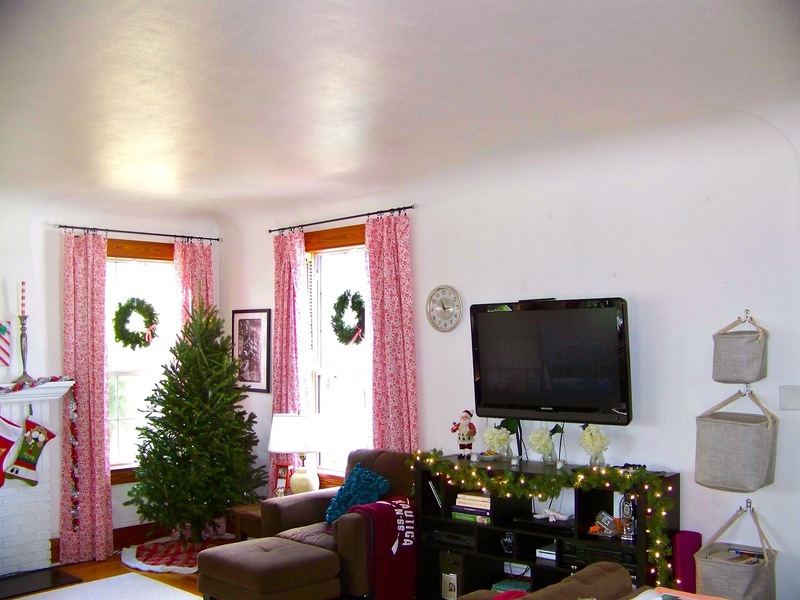 We still have to decorate our Christmas tree and show your our chandelier and the awesome job that Nate did on our outdoor lights but we are definitely feeling the Christmas spirit this year!